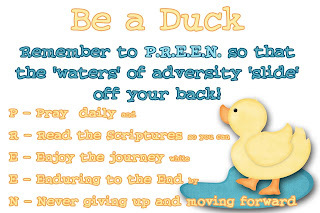 Dew THIS: Be a Duck and don't forget to P.R.E.E.N. daily! 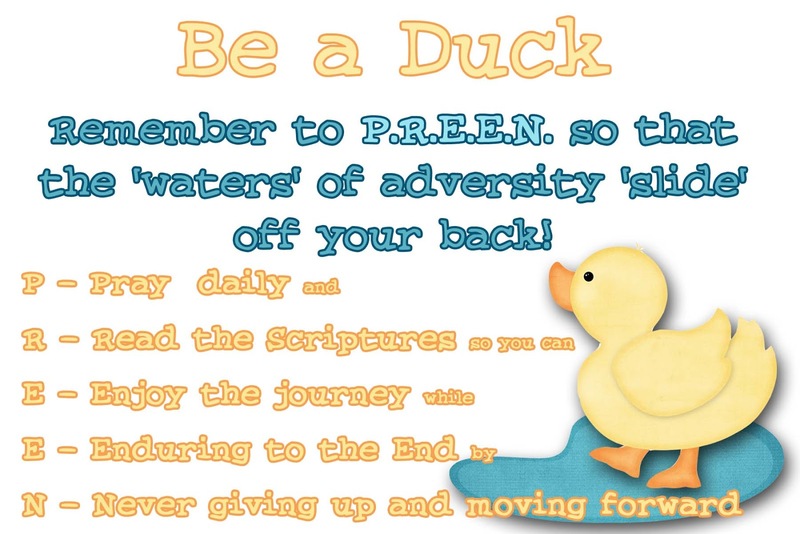 Be a Duck and don't forget to P.R.E.E.N. daily! This idea came to me years ago and I just couldn't stop thinking about it! So I made a printable and handout to remember the idea! I hope you can use it!